iOS 7.1 is the version of iOS 7 that should have launched in the first place as it fixed a plethora of bugs and brought improvements as well. 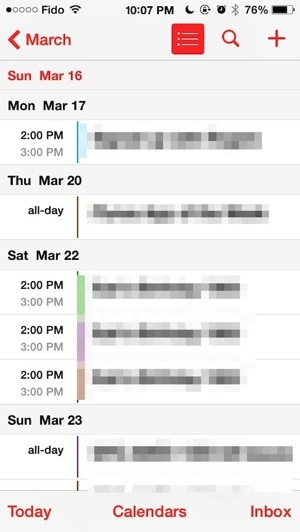 However, some design quirks for one are still in place (like the shift key icon), which includes being able to quickly access list view within the Calendar. 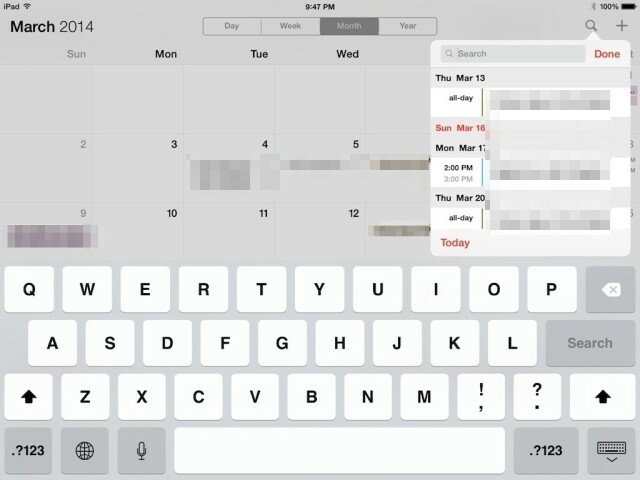 In iOS 7.1, Apple has made two different ways to access list view within the Calendar on iPhone and iPad, which has confused users and led some to believe it’s actually missing or hidden because it’s so hard to find. 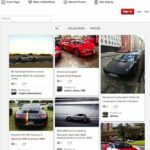 Let’s clarify how to locate list view shall we? 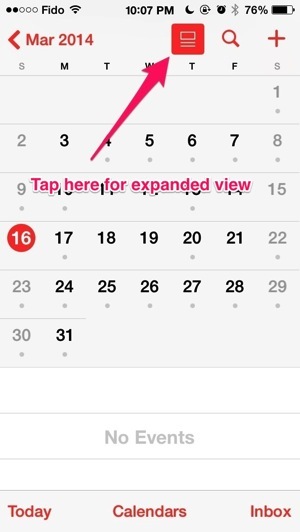 Tap on the ‘expand’ icon to the left of search. 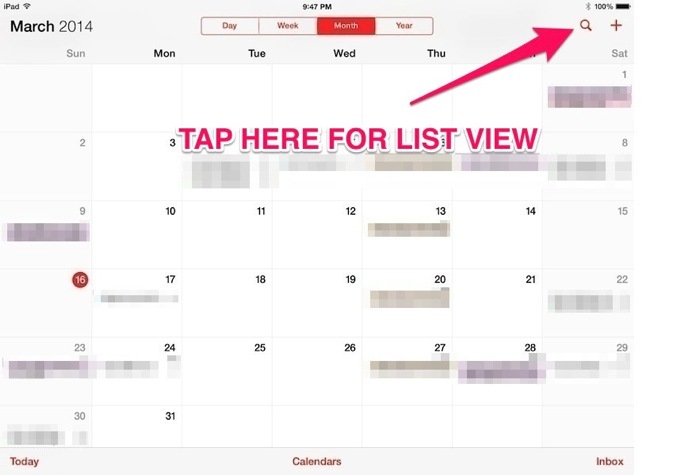 Then, tap on any day that has an event. Seriously, not sure why this is buried like this. Apple needs to look into this and change it. Tap the the search icon and list view will appear, as shown in the below screenshots. Ta-da! How’s that for confusion? 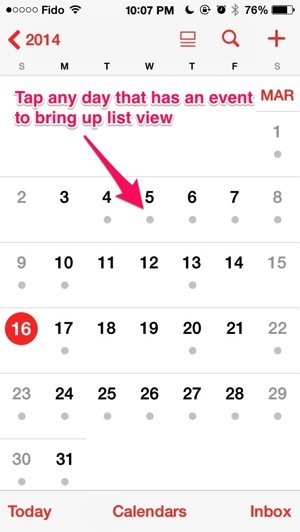 Let us know if this helped you ‘get back’ list view within your Calendar in iOS 7.1!